OMA has been selected to design the exhibition for the Chinese Pavilion at the Venice Art Biennale 2015, a year after Rem Koolhaas' stint as architecture biennale director. Koolhaas' firm – which is based in Rotterdam but also has offices in Beijing and Hong Kong – will create an immersive environment for China's exhibition during the Venice Art Biennale 2015, which takes place this summer. Titled Other Future, the exhibition will showcase the work of Chinese creatives including composer Tan Dun, architect Liu Jiakun and filmmaker Wu Wenguang. OMA plans to position artworks against a backdrop of digital projections and stages, intended to connect works inside and outside the pavilion. The design team, led by OMA partner Michael Kokora and director Dongmei Yao, will collaborate with Kayoko Ota – the curator behind the popular Japanese Pavilion at the last architecture biennale. 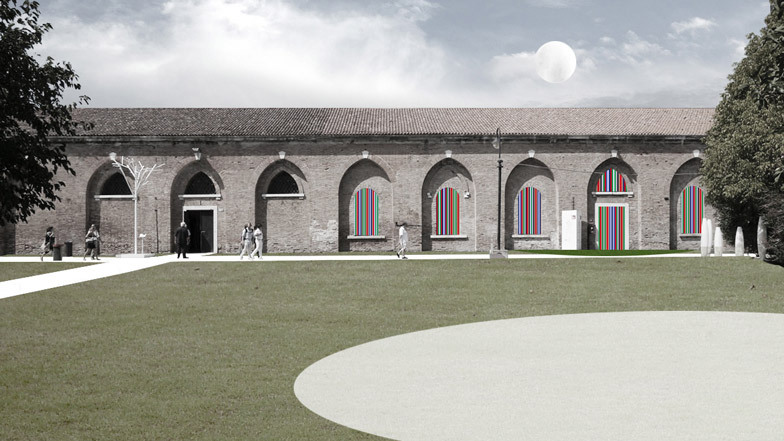 OMA regularly participates in the Venice Architecture Biennale, which occurs on alternating years with the art biennale. Last year founding partner Rem Koolhaas was director of the entire show, which he claimed was "nothing to do with design", while in 2012 partner Reinier de Graaf presented an archive of buildings designed by European local authority architects in the 1960s and 70s. The 56th edition of the Venice Art Biennale runs from 9 May to 22 November 2015.